For those who noticed the Q&A wasn’t up yesterday, I apologize. I caught the plague that’s currently going around at my office and I was down for the count. 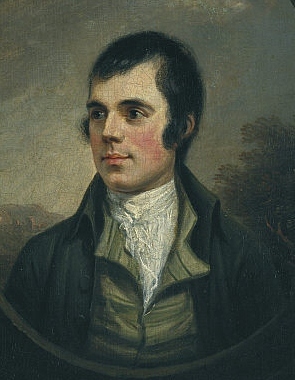 So, we’re one day late in celebrating Scotland’s most loved poet Robbie (or as they say in Scottytown Rabbie) Burns’ birthday. And because it’s the day after I’ll leave you with a lovely poem instead of the planned Q&A, because this my friends, is so much better. Enjoy the Robbie love. Is ever wi’ my Jean. But minds me o’ my Jean. Welcome to the New Site on WordPress!